Enjaz is a banking remittance service for money transfer both local and international from Albilad Bank in Saudi Arabia. Enjaz bank exchange rate allows its customers to maximize their profits by using foreign exchange at Enjaz bank Saudi Arabia. - Citizens and expatriates can register for enjaz account by providing their identity card or Muqeem card (Iqama) in nearest enjaz center. It is also possible to register for account in Enjaz bank online through their official website. - Once you register for enjaz account, You can credit money to your home country bank account by providing your muqeem iqama and bank beneficiary details at teller counter. Normally it takes 24 to 72 hours to avail your credit and the service charge is SR 16/-. Once your transaction finished you need to keep your receipt till amount reached in destination account, In case of failed, You can claim your money through the available receipt details. - Enjaz works 12 hours a day and 365 days in a year, Working hours will be 8AM to 8PM in working days and 1PM to 8PM in friday and ramadan days, Timings may change in different remittance centers. 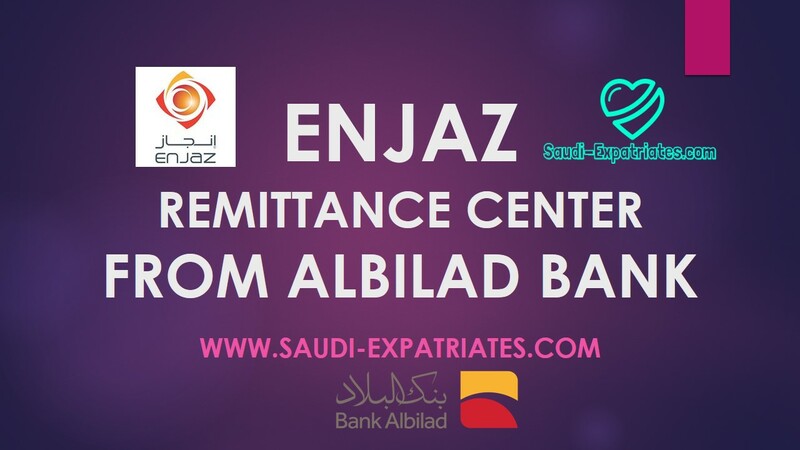 - Enjaz Bank Saudi also allows you to transfer money locally in Saudi Arabia without any bank account, You can transfer money from one Enjaz remittance center to other to reach to the receiver. - Enjaz Bank Saudi issue drafts in Saudi Riyals as well as international drafts in major currencies payable through their wide network of correspondent banks. - Enjaz Easy features allows expatriates to transfer money to their home country and it can be received in one of the selected service like Cash on bank counter, credit to bank account, cash delivery etc,. - Easy service has competitive enjaz bank exchange rates for the countries like Bahrain, Bangladesh, Egypt, India, Indonesia, Nepal, Pakistan, Philippines, Sri lanka, Sudan, Syria, Turkey, Yemen. - Enjaz Bank Saudi Arabia is partnered with Western Union, global money transfer organization, You can transfer money to anyone anywhere by just providing their name, You will get one unique number which you need to tell to receiver, receiver will get money by showing his name identity and unique number. Enjaz charge SR 25 for transaction through western union.